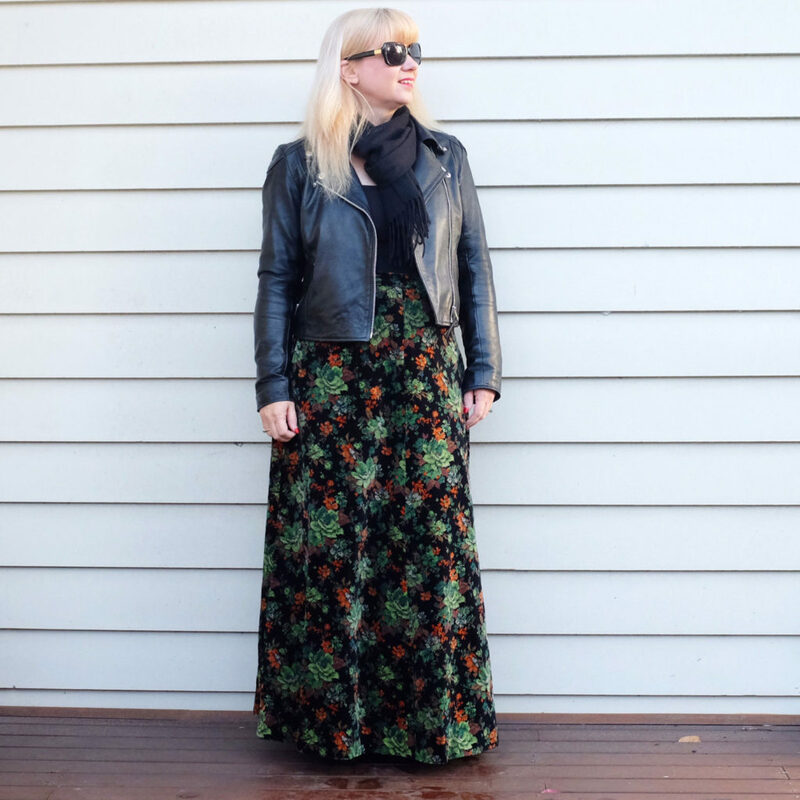 Welcome to Edition 52 of What I Wore…a summary of my outfits every week for a year! And as there was a few months ago, there has been another complete hair colour change…started the week as blonde, finished with grey/blue hair! Now it’s time to go through my wardrobe and see what I can wear with my freshly done “granny hair”! 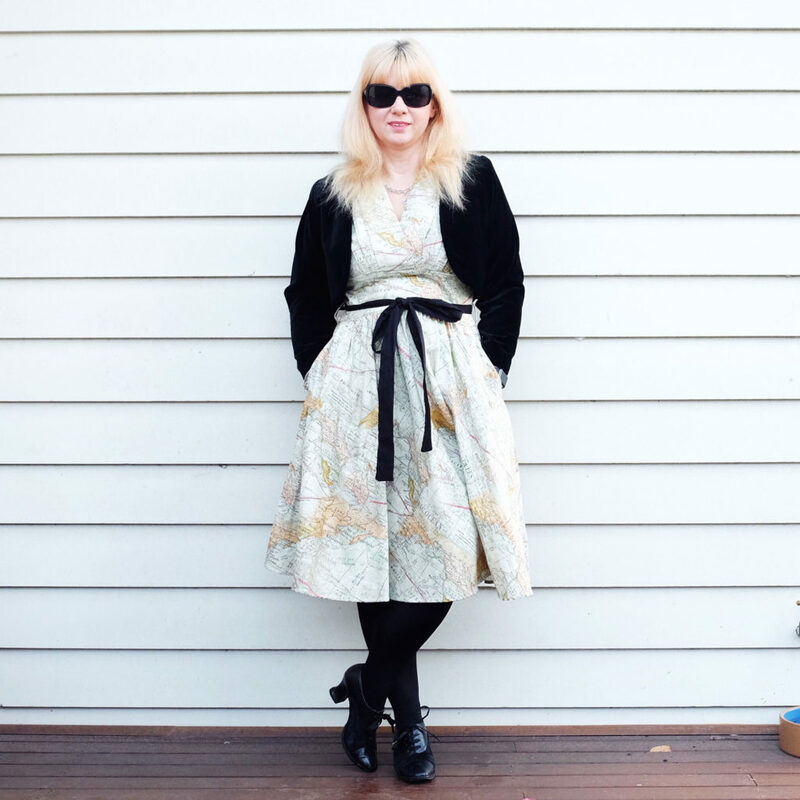 Tuesday was really cold but the sun was out, so decided to wear my Retrolicious vintage map dress, and add an op shop find velvet bolero, tights and vintage lace up heels. 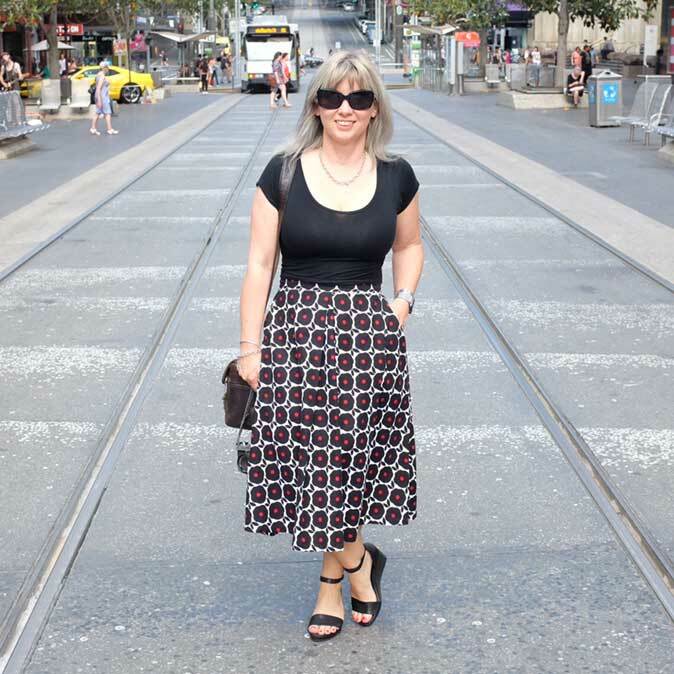 Wednesday was another cold but gloriously sunny day…just the way I like winter to be! 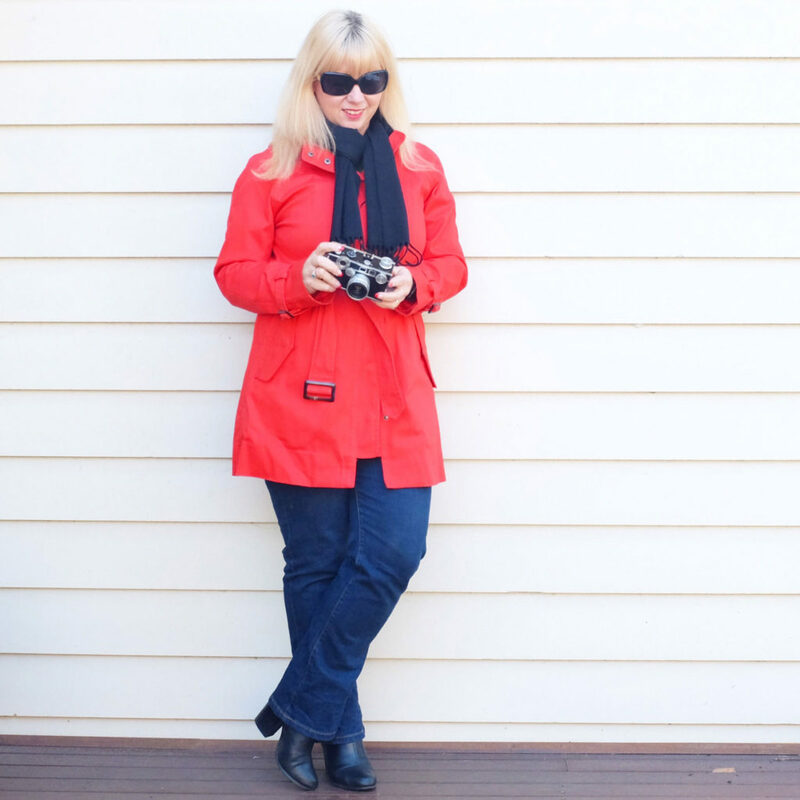 The nice winter weather continued on Thursday and I rediscovered a red jacket in my wardrobe that I have had for years yet barely worn. 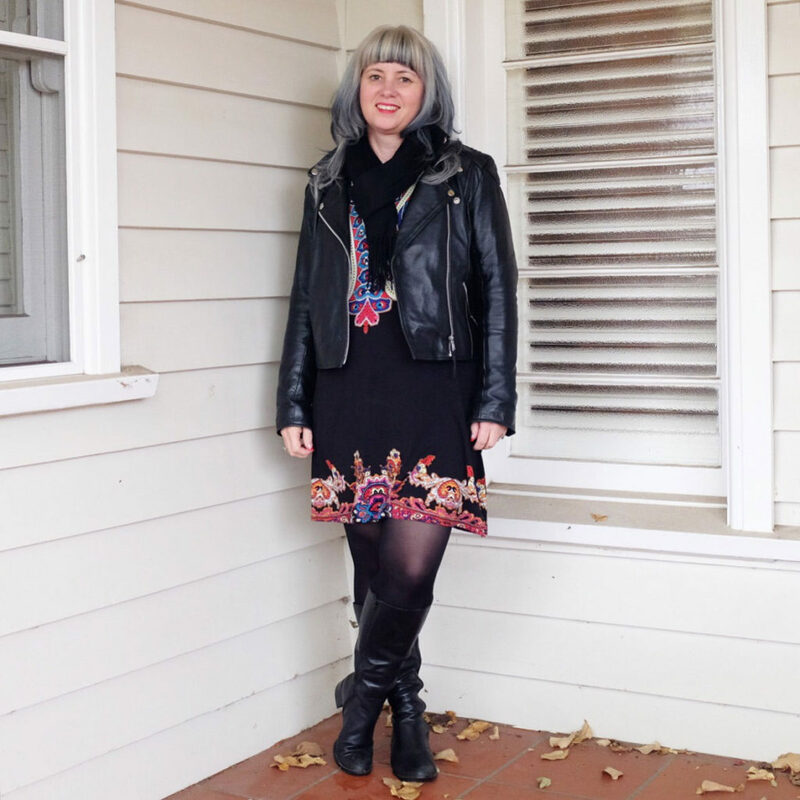 Wore it over Katies jeans with a long sleeve top, black boots and scarf. The camera is one of the latest additions to my collection…an Argus C3 (35mm film camera from 1959)…. 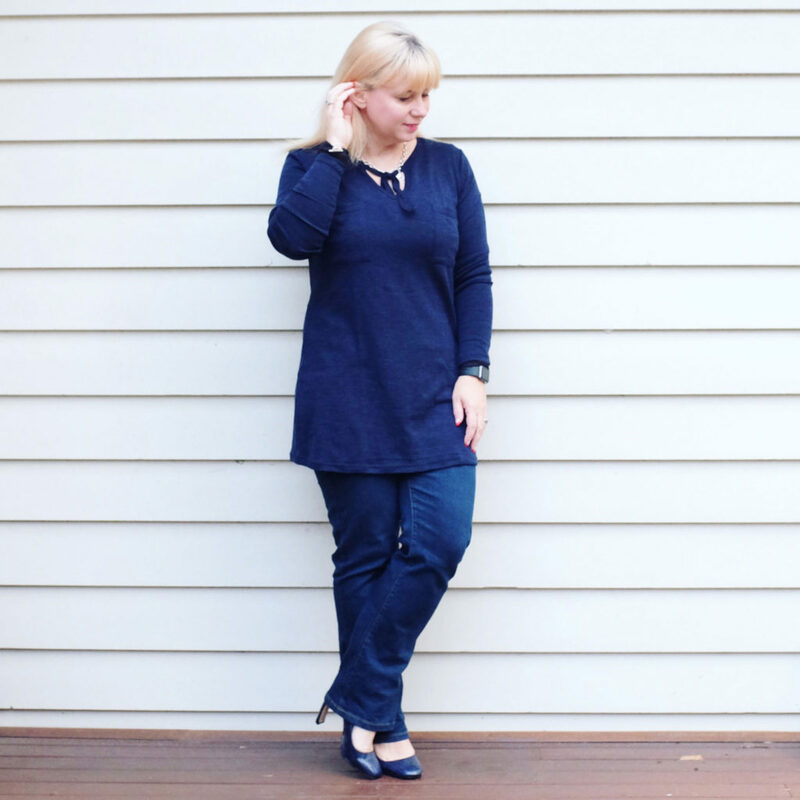 Friday, I wore a merino wool tunic found at Aldi of all places…it’s so warm to wear and very comfy. Saturday was the big hair colour change day…and my husband’s birthday! 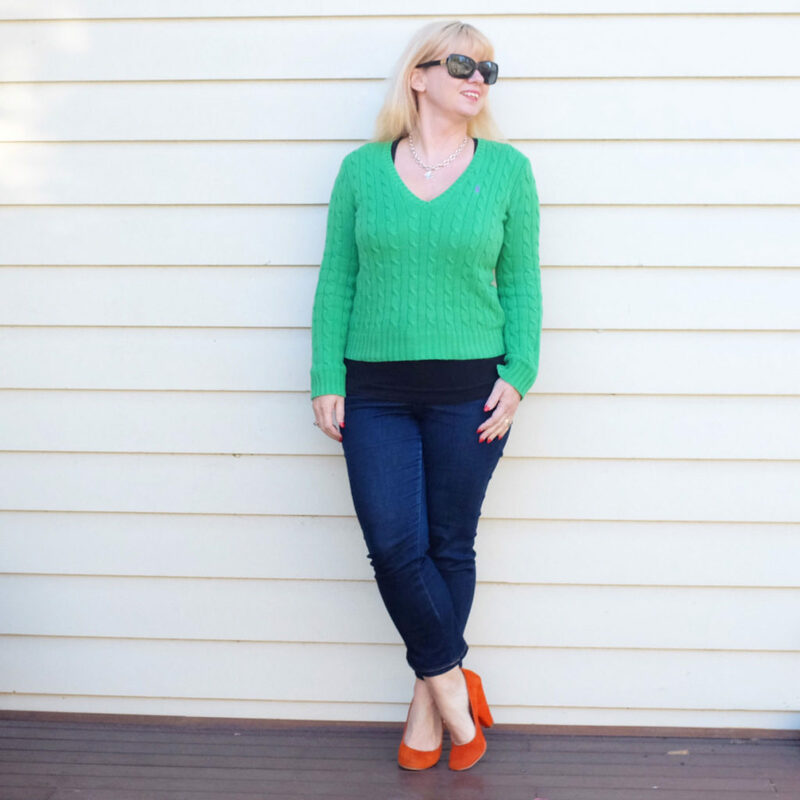 Sunday saw the most popular outfit for the week over on Instagram…not sure if it was the outfit or the fancy new hair colour! 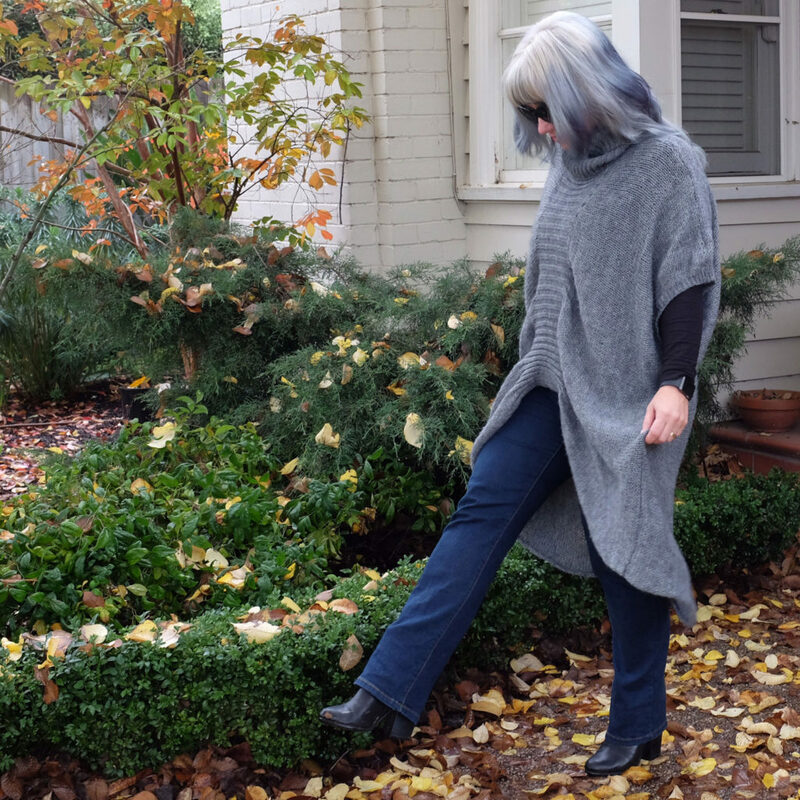 I wore an oversized jumper from Arthur Galan (last season) with Katies jeans, a black long sleeve top and boots….perfect for a wet, cold, foggy day.